Redwood is a web design and graphic design agency that focuses on building custom WordPress websites to help accountants grow their accounting business online. Redwood is a web design and graphic design agency that focuses on creating custom logo design, brochure design & branding to help accountants get the perfect image for their accounting business. As an accountant, you enjoy a definite competitive advantage when you establish yourself as a trusted expert through your online presence and unique brand identity. Your clients will easily distinguish you from your competitors, as they find and interact with your business through your custom designed WordPress website and engaging printed brand materials. Redwood can help you expand your business’s reach by designing and developing a custom website that not only attracts new users but also helps you reengage with existing clients. The key to a successful site is offering an excellent user experience. Our team has extensive experience designing user-friendly, responsive websites and brand identity material for accountants and CPA’s that clients love. A beautiful, quick-loading website gives potential customers a great online experience. 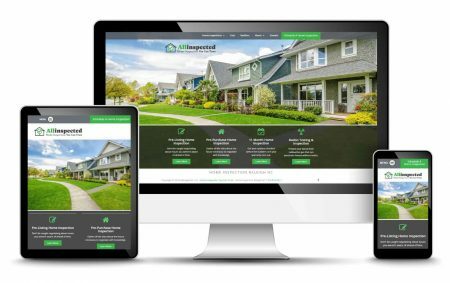 It’s essential to ensure success in today’s accounting industry by offering an up-to-date responsive website that looks great on any device. Your site needs to encourage online visitors to trust you and to contact you. Redwood offers a great design to give an exceptional user experience that creates new leads for your business. Your customers need to know that you pay attention to the details. Show them this by having your business cards, letterhead and marketing materials that match and look consistent. We are here to help. We love working with CPA and Accountant businesses. Feel free to ask any questions, and we will get back to you right away.